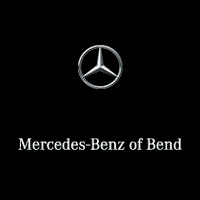 This 2018 Mercedes-Benz GLE GLE 350 is offered to you for sale by Kendall Mercedes Benz of Bend. Perfect for the on-the-go family, this Mercedes-Benz GLE GLE 350 is an SUV everyone will love. With exceptional mileage, options and power, you'll insist on driving it on all your outings. Today's luxury vehicle is not just about opulence. It's about a perfect balance of performance, comfort and attention to detail. This 2018 Mercedes-Benz GLE is the perfect example of the modern luxury. This vehicle has an added performance bonus: AWD. It improves handling on those winding back roads, and gives you added safety and control when driving through wet and snow weather conditions. This is about the time when you're saying it is too good to be true, and let us be the one's to tell you, it is absolutely true.